About a month ago, Spotify and Amazon paired up, bringing voice commands to your Spotify experience on the Amazon Echo. This feature is, however, limited to premium Spotify users. Another shortcoming is that if you have multiple profiles on your Echo, you can only connect to one Spotify account. So households of more than one are going to have to figure out which Spotify account to connect. The good news is that, with the Amazon Echo’s Bluetooth capabilities, you can get past this obstacle, and listen to Spotify (with or without a premium account), or to any other audio for that matter. The only thing you lose out on is the ability to use voice commands. To link your phone or other Bluetooth-enabled devices to the Amazon Echo, use the voice command, “Pair.” This will activate the Echo’s Bluetooth setting. You can also activate pairing mode through the Alexa mobile and web apps. Once in pairing mode, if you go to your phone, tablet, or any other Bluetooth device you want to stream audio from, you’ll find the Echo listed among your Bluetooth devices. When pairing, Alexa will confirm that you’re connected to your device, and will also announce when the connection has been lost. 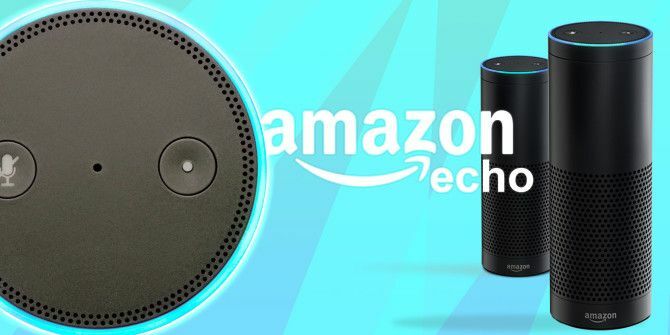 Once paired, the Echo will remember your device, and will remain paired unless you manually disconnect it or get out of range. Once you’ve completed the pairing process, whenever you want to connect the Echo to your device, as long as Bluetooth device is enabled, you can just use the command, “Connect.” If you’ve paired the Echo with multiple devices, it will try to connect with the most recently paired device. You can then listen to Spotify, podcasts, audiobooks, and more, whether or not they’re supported by the Amazon Echo. What kind of audio do you listen to using your Amazon Echo? Let us know in the comments. Explore more about: Amazon Echo, Bluetooth, Streaming Music.